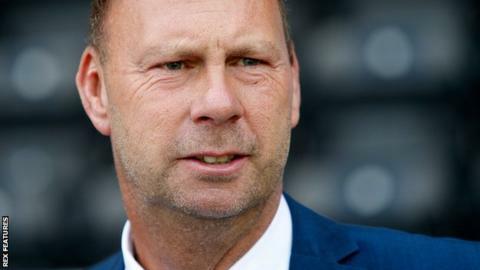 Notts County owner and chairman Alan Hardy says he has received two offers to buy the ailing League Two club. Hardy put the Magpies, who are bottom of the fourth tier of English football, up for sale in January. Notts also face a winding-up petition and Hardy's company Paragon Interiors went into administration on Wednesday, although he said its financial problems would not affect the club. Hardy said in a statement he would be holding talks in the coming days. "I have now received two formal offers which meet my expectations," Hardy said. "I will now be meeting both parties to understand their future vision and plans for the club before inviting one of them to enter into an exclusivity period in order to undertake due diligence and completion of the sale. "Further updates will follow in due course and in line with standard confidentiality protocol."